Continuing with our ‘Summer Essentials’ series we are talking all things party. I tend to hibernate during the winter months and don’t throw as many dinner parties. 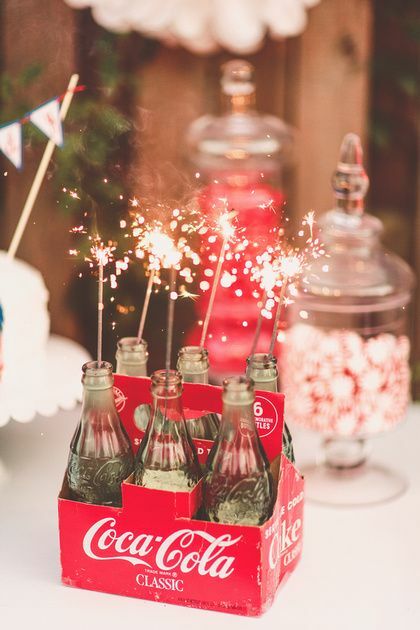 I recently heard the oldie but goodie, “Born in the USA” by the Boss and was inspired to share a few HOS party ideas….USA themed! Green Party Goods is a site dedicated to party supplies. 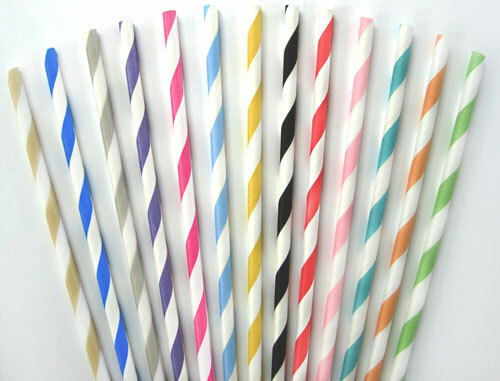 Their products are biodegradeable or ‘green’ if you will…I love the festive colored straws! A colorful drink deserves a colorful straw! Place a jar full of the straws on your kitchen counter; it adds a pop of color and gets people in the mood for fun! Green party goods is the resource for all things party. Candles give parties ambience. 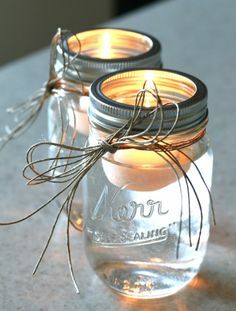 So let’s change it up and use mason jars to place our candles in. I love the rustic feel of mason jars…they also scream USA to me! You can buy a box of them on Green party goods site or any home store. Decorate the jars by tying string/ribbon around the top, glue pics, write on them or put sand at the bottom and create a beachy feel. I have even seen them hanging! The stand by drinks for most summer parties are wine and beer. Boring……Let’s make sangria! 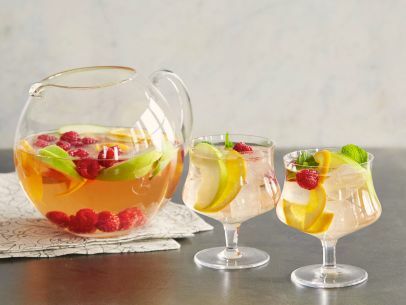 Refreshing and perfect for a summer soiree, sangria has made a come back in the culinary world. I love Bobby Flay’s recipe for his Rose Sangria Spritzer. Click here for the recipe. Yummy in the Squirrel tummy! We want to see your party pics, so tag us by using the hashtag #hosparty and post them to twitter or instagram. Your pic could be posted on our facebook page. Get your party squirrel on!